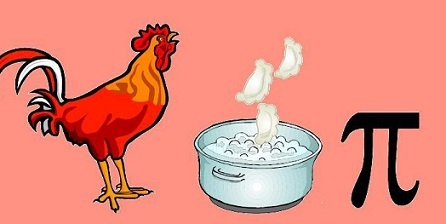 A Chicken In Every Pot ! Or A Turkey In Every Pot ! 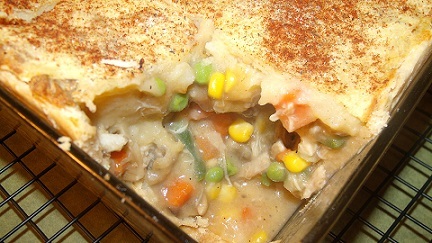 Chicken Pot Pie or Turkey Pot Pie - your choice - both are delicious and each is a favorite restaurant recipe. 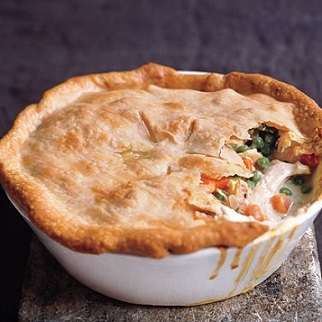 You can serve it as a pie or serve it over biscuits or even pasta. We have done so at the restaurant and the guests love all these variations. It always sells out. 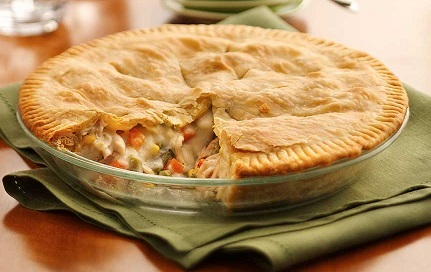 You can also substitute diced potatoes and diced carrots in place of the mushrooms and red peppers and your pot pie will still be fabulous. This is truly a comfort food. Another great thing about it is how much it makes. It is a very large batch which you can freeze in smaller quantities to take out later and put in a fresh pie shell and bake. Or as we did, you can make homemade pies and put them in the freezer to take out and enjoy a ready made, homemade, dinner at any time! Preparation time: 45 minutes. Serves 6-8 depending on desired portion size. 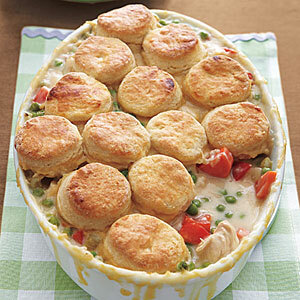 This favorite restaurant recipe for Chicken Pot Pie is only one of many casserole and chicken dishes on the website. Please enjoy all of these real restaurant recipes and the company of those you share them with!